This weekend, I finally had a few minutes to spend in the garden beds. In all honesty, I made the time, because lately I’ve just been letting whatever is in the garden do whatever it wants. 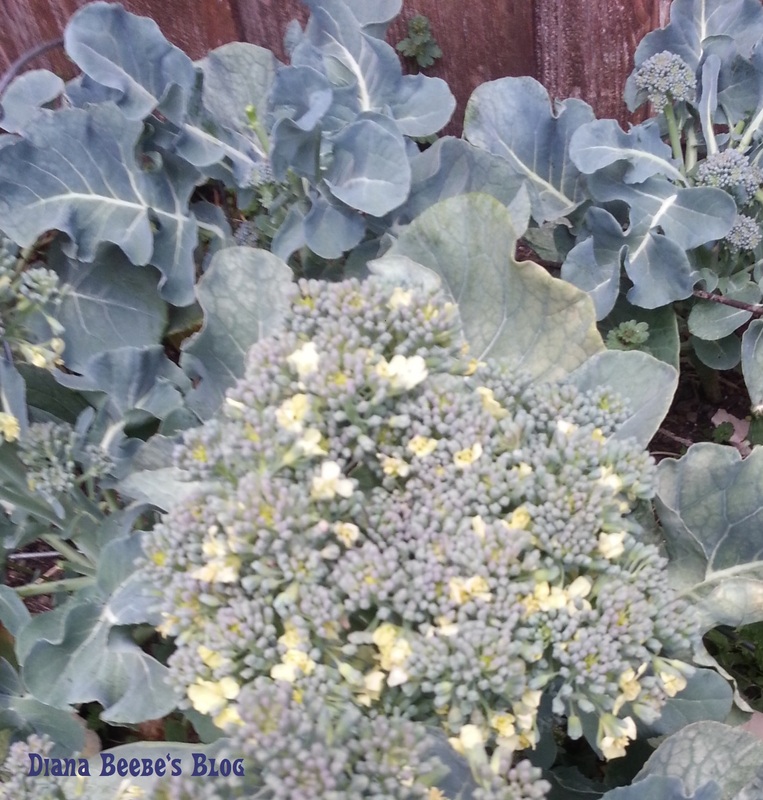 This is not a good thing when broccoli grows better in cold weather and starts to bolt (flower) when it gets warm. A few days of 80 degrees, and the bees will be enjoying that broccoli more than we will. So I picked as many of the crowns as I could. The ones that had too many flowers to eat are a gift to the bees. I’ll have to find a way to preserve some of it, because we’re going to be sick of eating broccoli very soon. 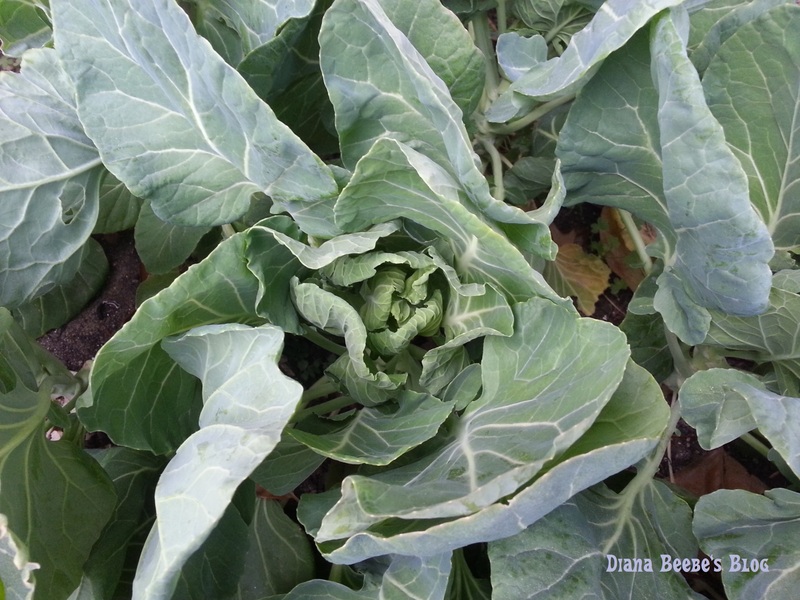 I checked the cauliflower and Brussels sprouts, but neither have shown any signs of veggies yet. But isn’t this Brussels sprout plant pretty? 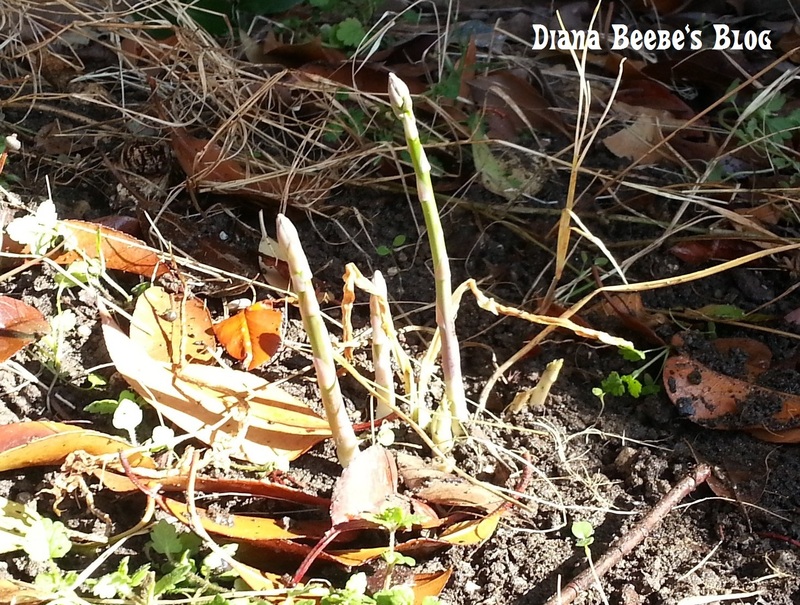 I cleaned up the newest asparagus bed, because it was a mess of old stalks, dead leaves, and weeds. Underneath it all: Score! 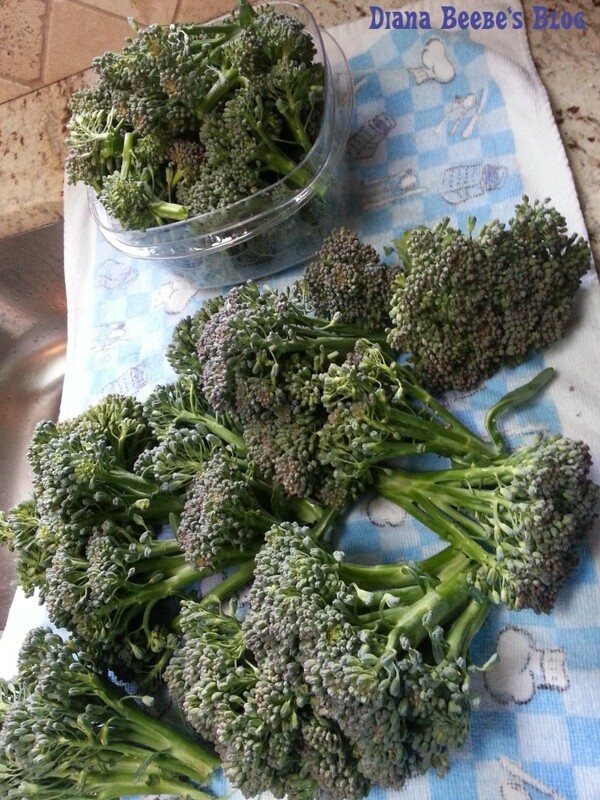 While we wait for the cauliflower and Brussels sprouts to grow, we can munch on our own fresh broccoli and asparagus. Of all the veggies I’ve grown, asparagus is one of the easiest, and broccoli is the prettiest after bolting. I may lose out on a few crowns, but the bees win. I’m OK with that. Have you ever grown asparagus or broccoli? What would you have in your ideal veggie garden? Have you followed my blog yet? It’s really easy! And I’ll never share your email address.